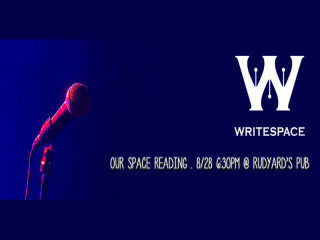 Writespace is launching its first anthology, Our Space: Shorts & Poetry from the Houston Community, and they'll present a reading of the anthology at Rudyard’s British Pub to celebrate its publication. The anthology includes writers from the Writespace faculty, Writespace volunteers and the Houston literary community. Copies of Our Space will be available for purchase for $15.